Power BI is a data visualization and modelling tool from Microsoft. It is free to use (for up to 1 GB data storage per user) and can be connected to various data sources including ‘Google Analytics’. Through this tool you can visualize your website data to gain insight. The pro version of this tool is the paid version and can be used, if you need more data storage, want hourly data refresh (instead of daily) and more BI (Business Intelligence) tools. Data visualization is the presentation of data in graphical format. Data visualisation is not just about creating pretty reports and dashboards. It is about making sense of the data. 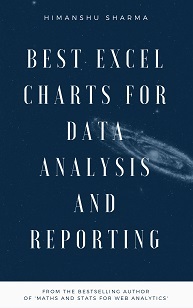 When you got have lot of data to analyze, you can’t spend days or weeks, analyzing thousands/millions of rows of data in excel spreadsheets. You need a system through which you can quickly make sense of data, determine patterns and anomalies, which are otherwise extremely hard to detect in a timely manner. Here data visualization comes handy. Data visualization not only helps in data interpretation but also help in data retention and telling meaningful, emotional and engaging stories to key decision makers. If you wish to make your reports more meaningful and persuasive, then you need to learn the art of story telling by visualising your data. Power BI, Google Data Studio and Tableau, all are well known data visualization tools. Both Power BI and Tableau provide free version of their products. On the other hand, Google data studio is free to use. Tableau’s free version is called ‘Tableau Public’ but it won’t let you produce and save any private content, so pretty much useless for commercial purpose. Tableau provides only 2 weeks free trial, unless you are a student or instructor at an accredited academic institution, who can use Tableau for free. Google data studio is free to use. The paid version of Power BI will cost you just $9.99 per user per month. The cheapest tableau product is ‘Tableau Desktop Personal edition’ which will cost you $420 per user per year. But this edition is pretty much useless, as it does not directly connect with Google Analytics and provide just 7 connectors (data sources). ‘Tableau Desktop Professional edition’ directly connects to: Google Analytics, Google BigQuery, Google Sheets. But this edition will cost you $840 per user per year and it still does not directly connect with Google Adwords. 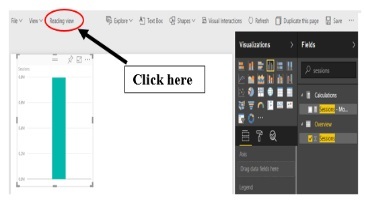 Use Power BI for basic data visualization. If you have very specialized data visualization needs, then consider using ‘Tableau’. Google Data studio primarily integrates and visualize data across all GA products. It primarily focus on connecting data from other Google data sources (like Google Analytics, Google Adwords, DBM, Google sheets, Youtube etc). So if you are mainly using Google products then it is all well and good. But if you are using non-google products then in many cases there is no direct integration. However bear in mind that Google will introduce more data connectors in the near future. So this limitation won’t be there for long. 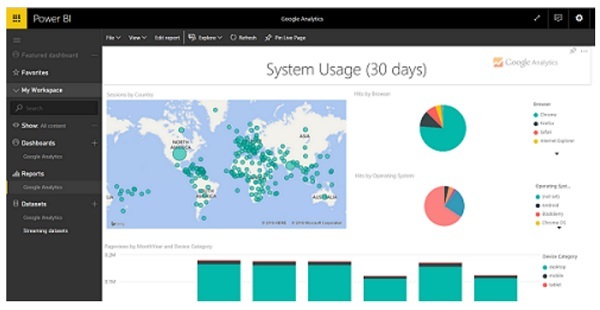 Power BI, primarily focus on connecting data from other Microsoft products (Microsoft Azure Enterprise, Dynamics AX cost management etc). 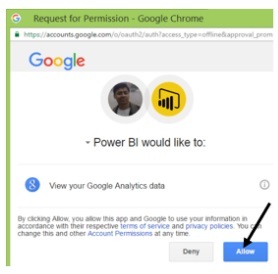 However the biggest downside of Power BI is that, it provide only two connectors for Google products and i.e. for Google Analytics and Google BigQuery (still in beta). 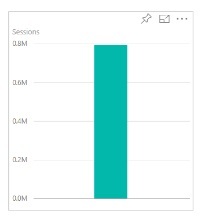 So for example, Power BI does not provide any connector for: Google Adwords or Google sheets. 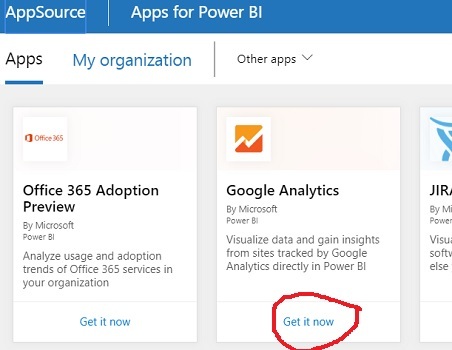 What that means, you can’t download the Google Adwords data directly into Power BI. You can still indirectly, download Adwords data via your Google Analytics or via Excel or CSV file. But then really what more can you ask, from one of the cheapest data visualization tool in the market. 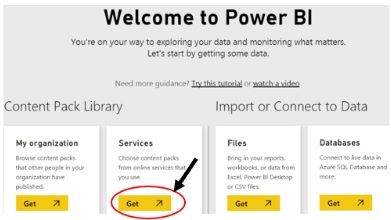 Step-1: Sign up for Power BI (free) using your work email. Use the online (cloud based) version instead of the desktop version for now. 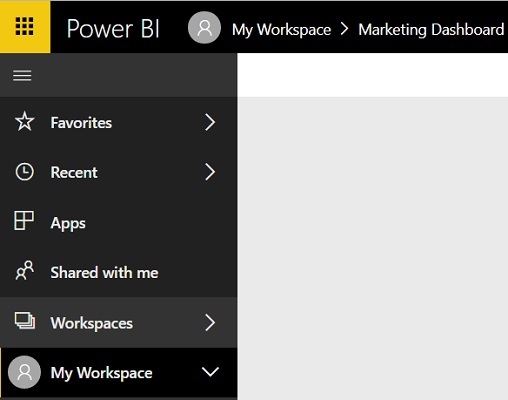 Power BI desktop is more powerful but more suitable for advanced users. You will now see a dialog box which ask you to select ‘authentication method’:. However you don’t have the option to select any other authentication method. Step-4: So leave this selection the way it is and click on the ‘Sign in’ button. Step-5: Choose your Google account by clicking on it. 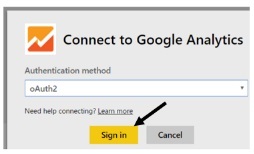 Note: It may take up to a minute or more for Power BI to connect with your Google Analytics. So you need to be patient and do not automatically assume that something has gone wrong. If the integration does not work the first time then try it again. Remember after all, it is a Microsoft product. Note: Importing data from your GA property could take some time. A dataset is simply a data source like: ‘Google Analytics’, ‘Excel file’, ‘Salesforce’ etc. The more data source you integrate with Power BI, the more datasets you can use and more powerful your marketing and analytics reports become. 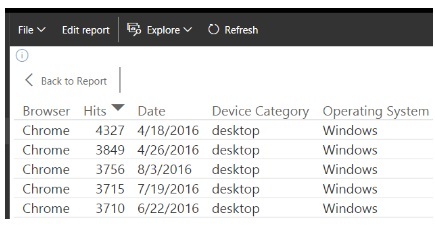 You need to have at least one dataset available, before you can create reports and/or dashboards in Power BI. You can create visualizations by adding data points to your dataset and then save the visualization as a new report. From your reports, you can create a new dashboard. 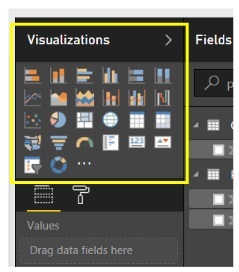 In the context of Power BI, a report is one or more visualization tiles. 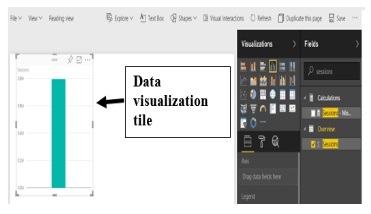 These visualization tiles can be on one page or multiple pages. Note: A single visualization title is also known as single visualization. There are two methods through which you can create one or more visualization tiles. One is through ‘Datasets’ area and the other is through ‘Reports’ area. You will now be automatically redirected to the ‘Reports’ section of your workspace. Step-9:Drag and drop the selected metric into the drawing area on the left hand side. 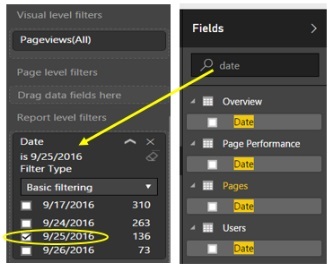 In order to get the desired data in your visualization title, you need to use these filters. 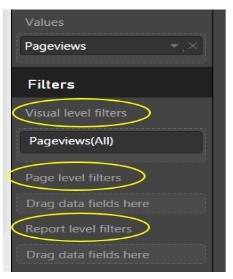 However do not change the ‘visual level filter’, unless you want to use a different metric for your visualization. 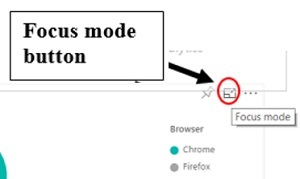 Step-14: Click on the ‘Reading view’ button once you have done editing your report and then save it. 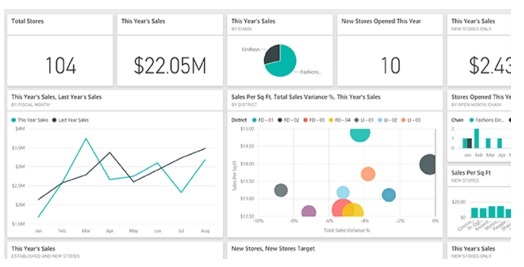 In the context of Power BI, a dashboard is a collection of data visualization tiles from one or more reports and/or datasets. 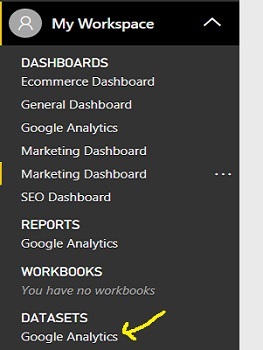 When you first create a Power BI account, one dashboard is automatically set up for you. Once you have created the dashboard, then you need add contents to it. 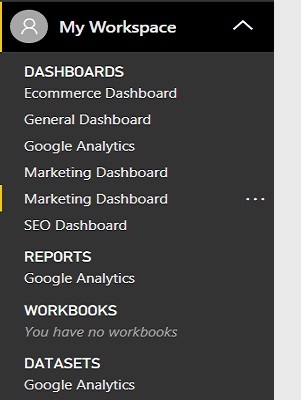 For example, Let us suppose I created a dashboard named ‘Marketing Dashboard’. Now I want to add content to it. Now when I navigate to my dashboard, I can see this report there. You can also pin an individual data visualization tile (instead of the entire report) to your dashboard from one or more connected datasets. 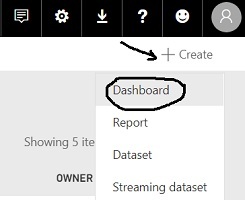 That’s how you can create dashboards in Power BI. You can also share your dashboards with others. 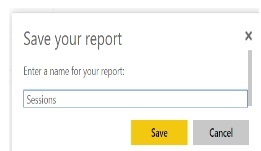 You can click on one of these reports to see detailed report. 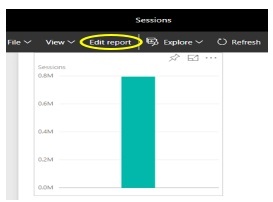 This is a very cool feature of Power BI. 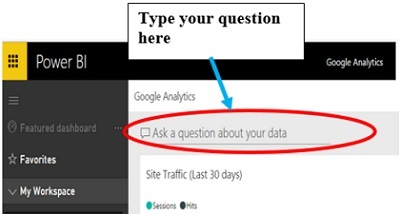 You can literally ask questions in plain english about your data from a dashboard and this tool with try to answer it. I used the word ‘try’ because it does not always answer all of the questions, you may ask. But it does a very decent job of answering questions. 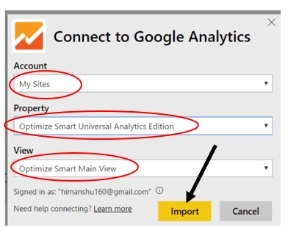 Google Analytics provide similar functionality via Analytics Intelligence. 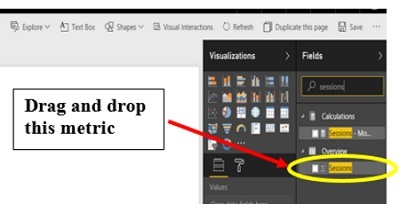 Just like in GA, in the case of Power BI, you don’t need to know, how to drill down data. Check out this cool feature on your own and see how many answers you can get from this powerful ‘Q & A’ feature of the Power BI tool. 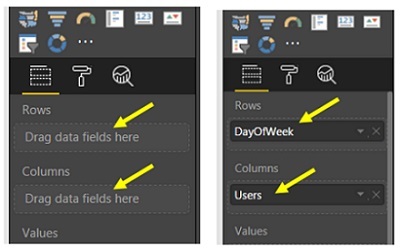 There are ton more things you can do with Power BI. But it is impossible to cover them all in one just one article. However I hope, you got a basic understanding of what Power BI is and how it can be used. 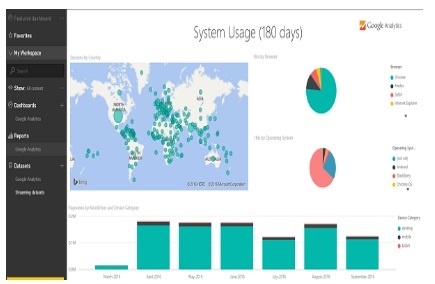 To learn more about Power BI, checkout the documentation here: Get started with Power BI. There is a big Power BI users community out there and tons of tutorials are available online for further reading and support.